Are Indo-Canadians, like federal NDP leader Jagmeet Singh, disadvantaged? Was he ever disadvantaged? Or is he the son of privilege? 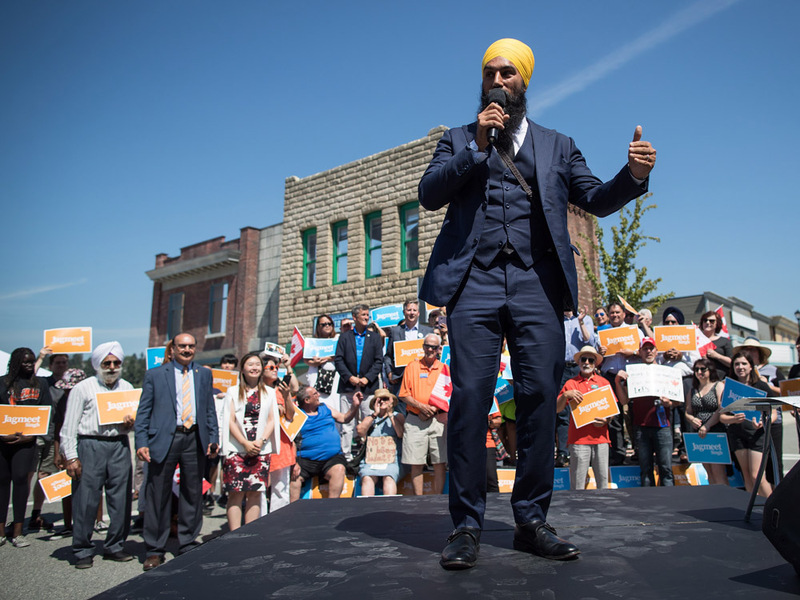 Those questions, which touch upon the remarkable experience of Indo-Canadians in Canada, were raised last week in the context of an internal NDP squabble about Singh’s fumbling leadership. It came to a head when dozens of current and former New Democrat MPs and MLAs in Saskatchewan objected to Singh’s decision to throw MP Erin Weir out of caucus for harassment allegations which they found dubious at best. My colleague Colby Cosh demonstrated in his column last week that Singh, the son of a rich man who ostentatiously displays his wealth — GQ cover shoots, bespoke suits, two Rolex watches — is far more privileged than farmers and teachers and city workers in Saskatchewan who oppose him. What Singh meant of course was that his critics are white, hence privileged, while he is not. What else could he have meant? Not that they are powerful and he is not. After all he is the leader, and their objection is precisely that he is abusing his power, which they are powerless to stop. But leave aside Singh, who is quick to resort to racial politics against his opponents. His complaint, transparently false as Cosh demonstrated, draws attention to the astonishing phenomenon of extraordinarily successful Indian immigrants to Canada.